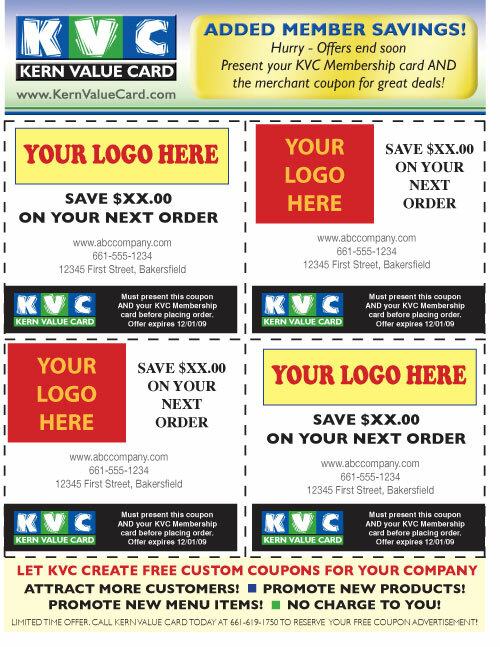 KVC offers printable coupons to it’s participating merchants at no charge. Merchant’s offering a deep discount, limited time offer, new menu item or product can promote their offer in a printable coupon format. This format is also great for tracking purposes. Please call Eric at 661-619-1750 for details.